A labradorite stone is cut into a rectangle shape and faceted, then bezel set. 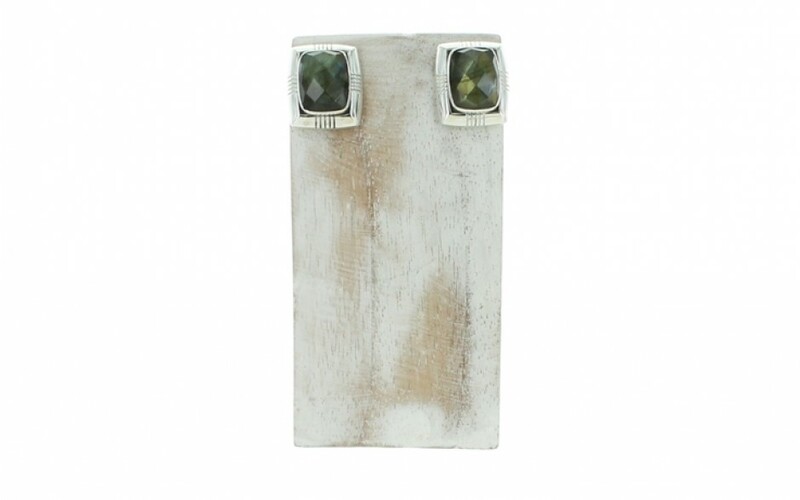 The setting features stylish lines etched into the silver. 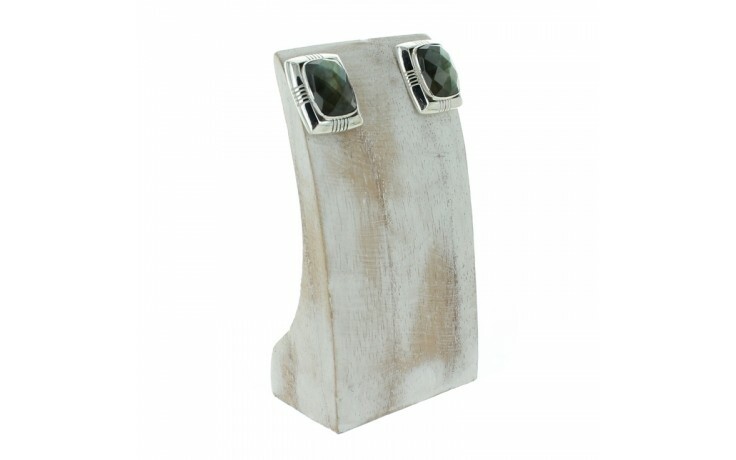 The sterling silver post is offset on the back of the earring and secured with a clutch. The earring measures 11/16" long by 9/16" wide.